Shipping charges depend on quantity and location.‚ Shipping will be itemized during checkout prior to order completion so you can check it before purchase. 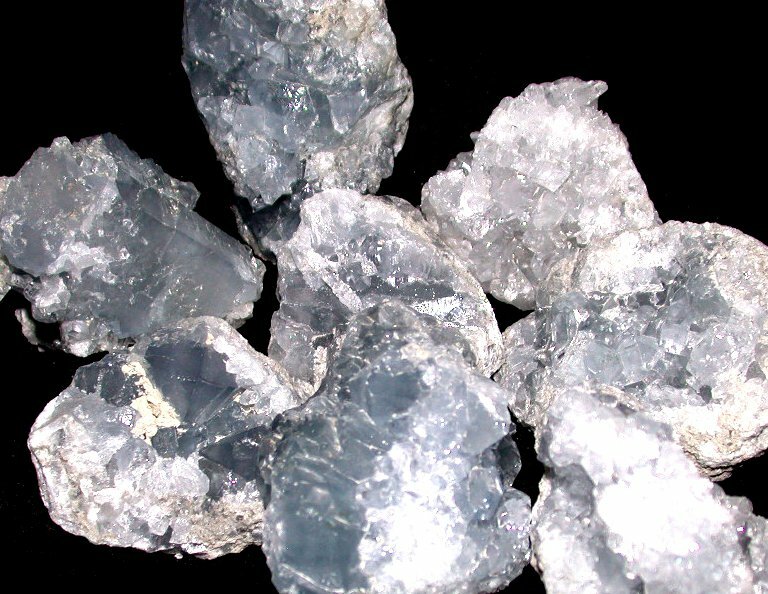 Celestite geodes typically range in size from roughly 2″ to 3″ inches and weights range from about 6 to 12 ounces each. 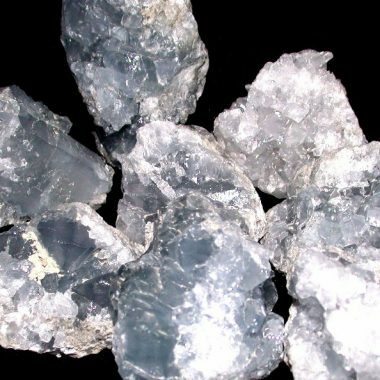 This celestite is a mix of what we would call partial geodes and druzy specimens. We individually wrap each geode/druzy specimen before orders are placed. We then package those wrapped specimens according to order size. Price is per piece/specimen.